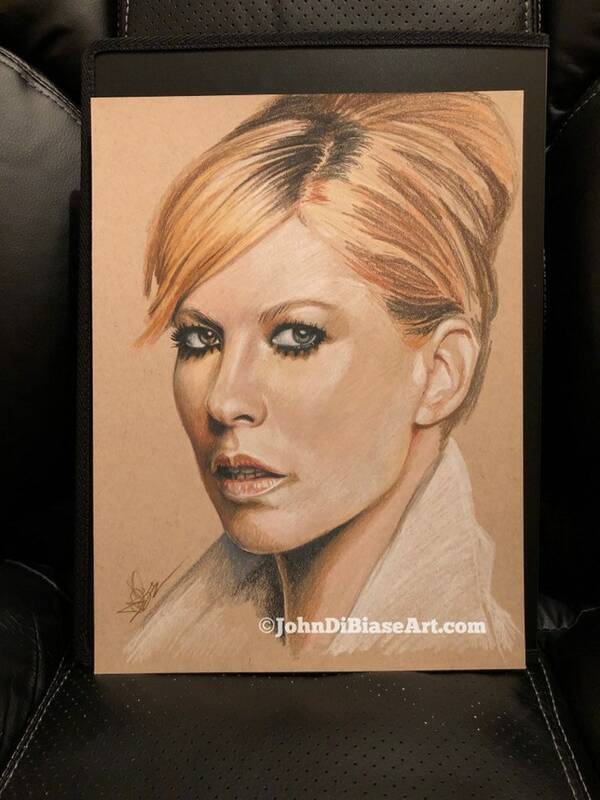 This is an Original Colored Pencil Sketch of singer actress Jenna Elfman. The drawing was made using colored pencil on toned tan paper. It's 9x12 inches. The photo is a photograph of the actual drawing you'll receive (it's sitting on my desk chair). You're ordering the ORIGINAL, one-of-a-kind pencil drawing here. The drawing is signed with the dates I worked on it on the back. My "JohnDiBiaseArt.com" watermark will not appear on ANY purchased item. It's for the listings only. Refunds are accepted under only few circumstances, including receipt of damaged printing (please provide photo evidence); or complete dissatisfaction with the print. Please contact me immediately with reasonable complaints and I will try to make it right! I will ship within 1 to 2 business days. If it's in the US, all shipments are US Priority Mail so you get it quickly and safely! If you would like me to autograph the print, please let me know immediately! Thank you!